Selling for ₨ 8000 0 0 Like this product? 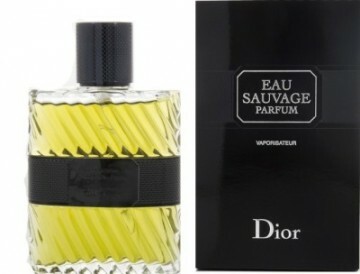 The legendary fresh masculine fragrance by Dior - Eau Sauvage from 1966, is re-interpreted and re-launched in spring of 2011 in stronger concentration - as Eau Sauvage Parfum. This classic citrus - aromatic composition has been updated and enriched with mysterious accords of myrrh, together with dry and woody vetiver that emphasizes the masculine character of this fragrance. Its original creator is the famous perfumer Edmond Roudnitska, while the new edition is signed by the current in-house Dior perfumer, Francois Demachy. The revealed notes of the new composition are: bergamot on the top, myrrh resin in the heart and dry vetiver in the base.